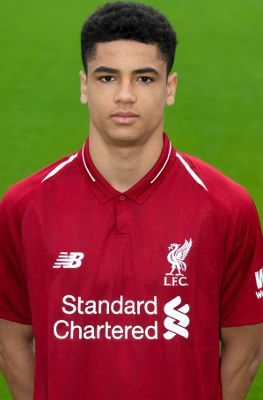 Ki-Jana Hoever completed his move to Liverpool from Ajax in September 2018. The Netherlands U17 international, who is equally comfortable playing at centre-half or right-back, started his Academy career under the tutelage of Barry Lewtas with the club's U18s. Also a regular for the Reds' U19s in the UEFA Youth League, Hoever made the step up to U23 level in November 2018, impressing on his debut for Neil Critchley's team in their 1-0 victory over Everton at Goodison Park. And, with a number of senior defenders struggling with injury, Jürgen Klopp duly called the Amsterdam-born teenager up to train with the first team at Melwood. Hoever was subsequently named in the squad for Liverpool's FA Cup third-round tie with Wolverhampton Wanderers in January 2019 - and an early injury to Dejan Lovren resulted in Klopp summoning the youngster from the bench. Partnering Fabinho at the heart of the Reds' backline, Hoever produced an assured performance while becoming the third-youngest debutant - and youngest ever in the FA Cup - in the club's history at the age of just 16 years and 354 days. Speaking after his side were defeated 2-1 at Molineux, Klopp said of Hoever's display: "He did well. He came on and did well. That’s how it sometimes starts - when you are really needed then it is only about if you are good enough and not how old you are."